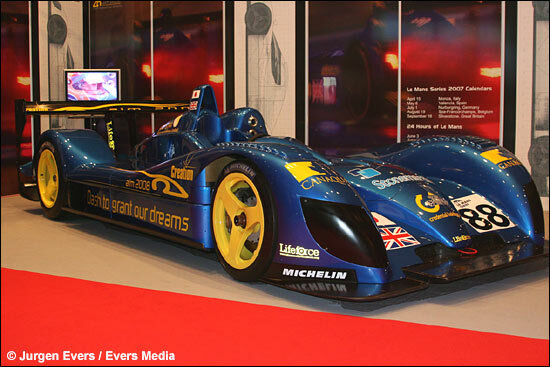 It's still blue and yellow, but as of this morning, in Monaco, this is how the Creation LMP1 car will look in 2007. 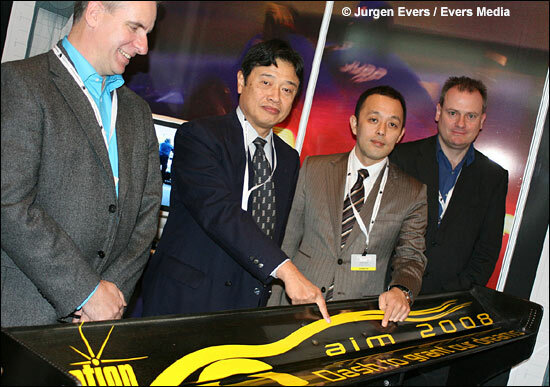 Beneath the two images of the car - all four by Jurgen Evers - are the Creation and AIM Industries senior personnel standing behind the rear wing, and then Mike Jankowski shaking hands with AIM’s Chairman and founder, Mr Yukinori Suzuki. 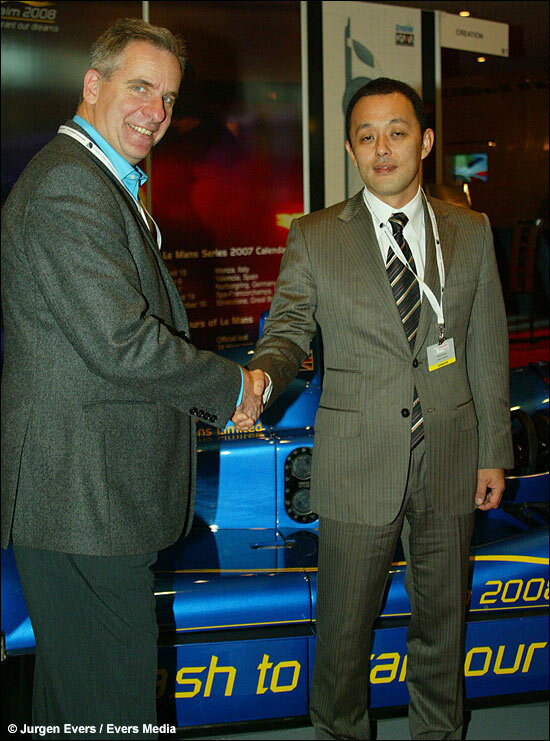 The target is, as already mentioned, victory at Le Mans in 2008. 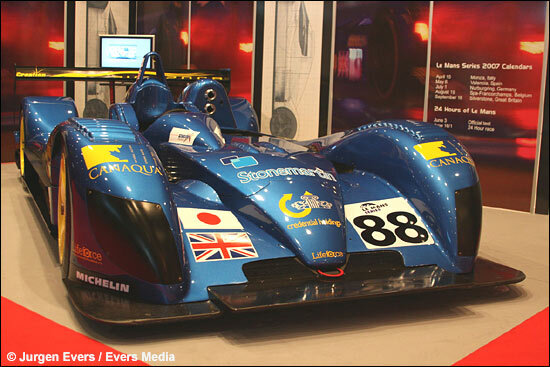 The new logos were added to the car after the first day at the Monaco event.